In a production environment, the need for consistent builds and mechanical properties can pose a challenge to additive manufacturing (AM). AM provides real benefits for these industries through improved manufacturing processes and supply chain flexibility, but companies continually push for further industry advancements in quality, reliability, and repeatability to meet their stringent needs. 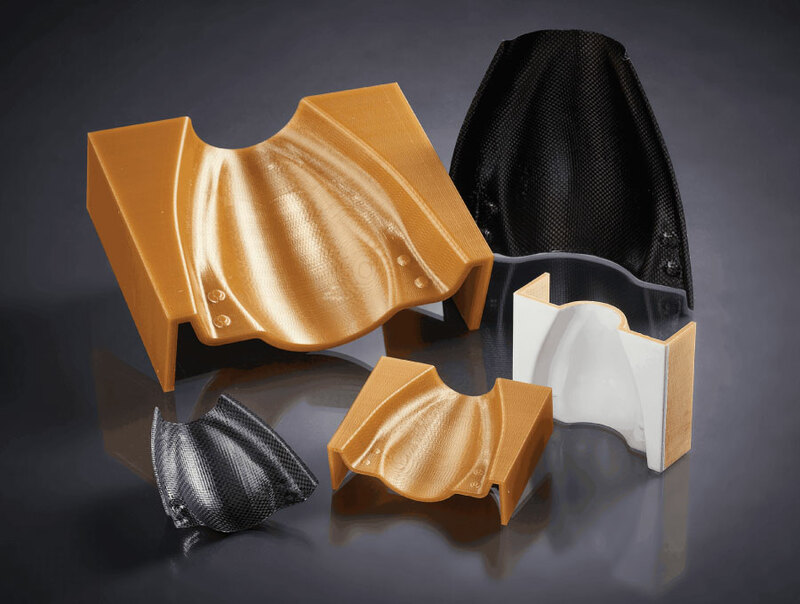 The ULTEM™ 9085 CG resin material has improved mechanical properties with upwards of 39% increase to tensile strength and upwards of 65% increase to elongation at break in the Z orientation compared to standard ULTEM™ 9085 resin. The improvement of mechanical properties allows for engineers and designers to expand their use of printed parts. The FDM Pro solution builds the material in .010” thick layers. Our honed internal processes, enhancements of the printer including new extrusion tips, and finely tuned software produces cosmetic parts with better aesthetics than typically seen in ULTEM™ resin material. Because of these benefits, FDM Pro is a solution for plethora of production applications. The higher strength of ULTEM™ 9085 CG resin can aid in the transition of overly engineered parts to more streamlined lightweight plastic parts. Engineers can utilize FDM Pro to produce components such as replacement parts, functional prototyping, under the hood applications in automotive and aircraft interiors. Aerospace companies are perfectly positioned to leverage the benefits of FDM Pro alongside their existing production specifications as well as expand the use of 3D printing for a broad array of components within aircraft interiors.